QSound is a recording/mixing process used in many radio recordings based on a processing algorithm and used to make sound appear to be in 3D whilst using only 2 speakers. patial sound has developed mainly thanks to the cinema. The first stereophonic system was Fantasound, created by Walt Disney’s engineers to be used in Fantasia – an animated film from the year 1940. At that time, the term “stereophonic” was not synonymous with “two-channel” – sound was recorded on three tracks, based on research carried out by Graham Bell who thought that it was the optimum number of channels. With time, for practical reasons, the central channel has been given up and three-channel tapes (e.g. Miles Davis – Kind of Blue) are mixed to two channels. When we use the term “stereophonic” today, we mean: “two-channel”. With time, it was logical to increase the number of channels (and speakers, as a result). However, the boom for multi-channel systems took place much later – in the 1970s and 80s. First, these were analog (Dolby Surround) and then digital (Dolby Digital and DTS) systems. They let film-makers achieve spectacular effects – mainly in movies and then in home cinema systems. Even though some companies tried to popularize quadraphonic (four-channel) systems in audio, in the end it was in vain. It is worth noticing that audio multi-channel systems that exist today are just “on the margin” of today’s technology. When we think of “surround”, we automatically associate this term with the cinema. However, there are ways of obtaining an illusion of surround sound with the use of two channels. In the case of headphones, binaural recordings. When it comes to speakers, one of the most interesting tools is the QSound system. It is a coding system which makes it possible to use two speakers (channels) to provide spatial sensations outside the “virtual window” created between two speakers. 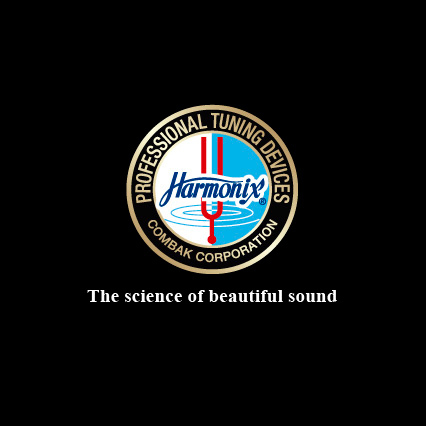 The system was created by the Canadian company QSound Labs founded by Larry Ryckman (CEO), Danny Lowe and John Lees, based on psychoacoustic tests carried out on a large group of listeners. The system is based on recording many monophonic tracks on an analog tape (it is one of the requirements) and processing each of them in DSP circuits, based on a program written for this purpose. The tape is finally mixed to two channels. It is a system in which the end user does not need any decoding device to obtain spatial sound – all the work is carried out by the record producer. The system was first used in Coca Cola’s Hilltop Reunion Superbowl commercial (1990) and then in the soundtrack for a popular TV series The Wonder Years. From our point of view, the use of QSound in music records is much more important – and there is plenty to talk about. The first CD recorded using the technology was Madonna’s album The Immaculate Collection (Warner Bros., 1990). A year later, the first album made from A to Z with the use of the system – Sting, The Soul Cages (A&M 75021-6405-2, 1990) – was released. After the company had been active in the field of music for some time, it quickly signed some contracts with computer game producers and focused its attention on them. The quick development of home cinema systems, including ones that simulate multi-channel sound, has eliminated such sophisticated systems as the QSound. Just 11 years passed between the first and the last album release. If you are interested in the subject, you can find more information HERE. One of the most active artists from the list is Roger Waters – both when it comes to solo projects and working with Pink Floyd. His most interesting and well-known album is Amused to Death. Released in 1992, it was the third solo album of the bass-guitarist and vocalist of Pink Floyd. It was produced by Patrick Leonard and Waters, with the help of Nick Griffiths. The recording took place in London and the USA in The Billiard room, Olympic Studios, CTS Studios, Angel Studios, Abbey Road Studios and others. The album was recorded by Hayden Bendall, Jerry Jordan and Stephen McLaughlan, and mixed by James Guthrie. 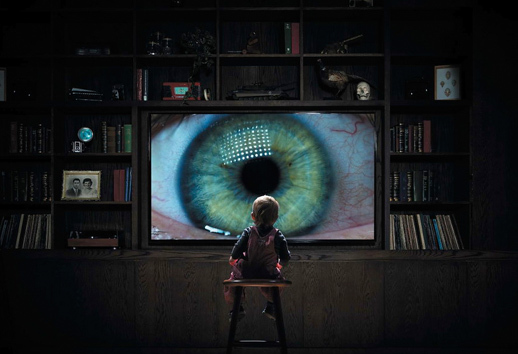 Amused to Death is a concept album which concentrates on the influence that mass media and mass culture have on people, with special focus on television (people would not dare to think at that time that its role would be taken over by the Internet). The first track on the album is The Ballad of Bill Hubbard, with a monologue of Alfred “Raz” Razzell, a veteran of WWI, talking about war-related traumatic experiences. From the very beginning, the album has belonged to the absolute canon of musical and audiophile presentations because of its excellent sound quality, but mainly thanks to amazing spatial effects that it owed to the QSound system. Listening to the dog barking at the beginning of the recording became a synonym of “initiation” and if a system presented the barking dog correctly, i.e. on the side and far behind the “window”, it was regarded to deliver “spatial” sound. It was clearly a simplification, as space is defined mainly as the location of instruments (i.e. where they are situated in relation to one another) in some acoustics, but it has been accepted that this is the most important moment on the album (in the case when it is listened to by an audiophile). The record was released as a double vinyl album and on a Compact Disc by Columbia Records – a label which is owned by Sony Music. The CD for the whole world, except for Japan, was pressed in Austria, in a Sony’s pressing plant (Columbia COL 468761 2). Therefore, people from almost every country obtained exactly the same version. It was different in Japan. 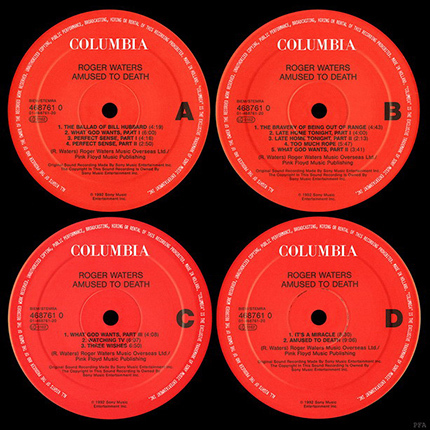 As many as three versions of Amused… were released there: a classic one, an aluminum pressed CD (Sony Music Entertainment (Japan) SRCS 5913) and two gold pressed versions – one of them intended for the American market, released as part of the Sound Master series and with exactly the same cover design as the “regular” version sold in Japan. In 2005, a series of Roger Waters albums was released in Japan in an “mini LP” version, with recreated vinyl discs covers (let me remind you that the CD cover from the year 1992 featured a close-up of a small photo from the centre of the black LP album cover decorated with embossed letters). This edition of Amused… was produced using the original master. Considering the popularity of the album, it is hard to understand why its first remastered (or rather remixed and remastered) version was released as late as in 2015. In 2013, ElusiveDisc, an American online store where I regularly buy records, offered me the opportunity to make an advance payment to buy a new version of Waters’s album. The Analogue Productions company was to be responsible for the remaster and, which is something new, for the remix (i.e. using multi-channel master tapes and not the stereophonic master). The firm, known mainly for its excellent reeditions of LP discs, also on 200g Vinyl 45 RPM, had had experience in the field, as it had already released a remaster of Pink Floyd’s Wish You Were Here. Again, James Guthrie was responsible for operating an analog mixing console, while Patrick Leonard and Rogers Waters were in charge of production. Something unexpected must have occurred during the process, as we were only able to get to know the results of the cooperation as late as in August 2015. It is most probably because of the fact that, initially, only a stereophonic version was to be produced. In the end, a surround 5.1 version was also released. So, this is an unprecedented situation: a huge corporation charges a small independent company with the task of producing and releasing a vinyl version of an important album. It was double, heavy vinyl pressed in the USA in the Analogue Productions company’s pressing plants, with its master. It is available in two versions – released by Analogue Productions and Sony Music. It must be said clearly (which is, so far, confirmed by all sources), that the discs are identical in the case of both releases, as they were produced in the same pressing plant. The only differences are related to the envelope – the one in the Sony version is a bit thinner and the color of the inside is different. a hybrid SACD/CD (Columbia/Legacy/Analogue Productions). The Blu-ray discs contain a stereophonic, multi-channel 24 bit, 96kHz PCM version, while the disc released by Analogue Productions features a stereophonic, multi-channel DSD version. PCM and DSD signal were coded directly from analogue tapes. Apart from these, you can also buy a DSD file. the hybrid SACD/CD Remaster 2015 (Columbia/Legacy/Analogue Productions). As you can see, we did not test the gold pressed version. It is available, but its price on eBay starts from 150 dollars (plus the customs duty and shipping costs). I have also seen one offer on the Polish website Allegro.pl – the CD cost over 500 PLN! Therefore, we did not test this version. Fortunately, I was able to borrow it later and I will say a few words about it at the end of the article.